Funding for HASTS doctoral students (as of the entering class AY07) includes five years of guaranteed support provided that the student maintains reasonable academic progress. 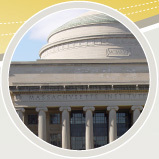 This covers MIT tuition, 9 months of stipend, and 12 months of individual health insurance annually. Funding consists of a combination of fellowships (including those which students earn on their own), teaching assistantships, research assistantships, and the like. All students are strongly encouraged to seek competitive outside funding at any point in their program, and will be required to do so for support of a sixth year. The Director of Graduate Studies and the Academic Administrator of the doctoral program will be available to assist students seeking outside sources for support. Current students who have financial questions pertaining to funding (i.e. graduate awards and appointments, and hourly payroll) should contact the STS Administrative Officer, Paree Pinkney. Nonresident doctoral thesis research status requires the student to have passed their general examination and to have already written a thesis proposal. HASTS students do not typically go into this status until after their fifth year. If you are a current student and have questions about this status, please contact the Academic Administrator. Tution costs for nonresident graduate students are 5 percent of the regular tuition charge for the first three semesters in nonresident status, and 15 percent for subsequent semesters. MIT policy states that a student may receive fellowship support from MIT for an amount up to 5 percent of tuition per semester first three semesters of nonresident status. After the third semester, nonresident students can no longer receive fellowship support from MIT. Students who are presenting papers at professional conferences or who are engaged in research may request up to $400 from the HASTS program for travel expenses each academic year. Students may also apply for funds from the School of Humanities, Arts and Social Sciences and the Graduate Student Council. See "travel funding" on the funding resources page for more information. Graduate Students should contact the Academic Administrator, Karen Gardner, about all travel related expenses and reimbursements. When applying for NSF and other research funding, the Administrative Officer for the department that will be administering the funds should be contacted well before the deadline to submit the application. See the funding resources page for much more information on applying for fellowships.